"Can you successfully reverse cryonic suspension," i.e. "can you bring someone back?" While suspended patients cannot be revived with current technology, we in cryonics believe that scientific advances may well make possible the future revival of patients from cryonic suspension. We recognize the uncertainty of any prediction regarding future technology, but the advances that have occurred even since Robert Ettinger wrote the Prospect of Immortality in 1964 (from nanotechnology to vitrification to new cryoprotective agents) lead us to believe that the future is on our side. Those who bet against progress have almost always been wrong- and we are betting that the same optimism applies to cryonics. Damage does occur in the cryonic suspension process, but there are sound reasons to believe that that damage can be limited, especially for patients and their families who are prepared, and can begin the process as soon as possible after clinical death. That is what we are dedicated to achieving for our members. The evidence supporting cryonics is compelling, so we invite you to explore some of the key arguments below, review our Resource Library for more in-depth information and decide for yourself. Insights from Robert Ettinger, "The Father of Cryonics"
In 1962, a physics lecturer at Wayne State University named Robert C. Ettinger founded the cryonics movement with the publication of his book The Prospect of Immortality and introduced the world to a groundbreaking concept he termed "Cryonics." Ettinger always looked at the concept of cryonics and particularly cryonic revival not as an impossibility, but rather as a complex problem that science would eventually find ways to solve. Considering the current state of technology in 1962, he correctly predicted that science would continue to advance at an explosive rate over the next several decades, ultimately creating the sophisticated tools which would be needed to revive cryonics patients. Over the course of his first lifetime, Ettinger had the unique pleasure of seeing many of the scientific advances he had predicted decades earlier become reality, further convincing him that the tools and techniques needed to realize his theory were only a matter of time. Ettinger was in the unique position of actually watching his theory coming to life in his own lifetime, and he wrote extensively on the subject of cryonics, clarifying the theory with each new scientific leap forward. Nanotechnology, in particular, has always been a key theoretical revival technique, and Ettinger was fortunate enough to see the first applications of its amazing potential. 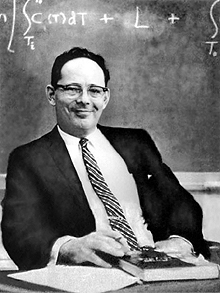 Robert Ettinger was placed in cryostasis July 28, 2011 at the Cryonics Institute facility in Michigan at the age of 92. As a scientist, futurist and most of all, "The Original Cryonicist," Robert Ettinger and his works are the foundation and in many ways the soul of the cryonics movement. To truly understand cryonics, Robert C. Ettinger's works are essential reading. Complete list of all documents currently available on the CI web site. Essential reading - the book that launched the cryonics movement in 1962. The signatories, speaking for themselves, include leading scientists from institutes such as MIT, Harvard, NASA and Cambridge University to name a few. First report of the consistent survival of transplanted kidneys after cooling to and rewarming from -45°C: Fahy GM, Wowk B, Wu J, Phan J, Rasch C, Chang A, Zendejas E, in: Cryobiology (2004 vol. 48), “Cryopreservation of organs by vitrification: perspectives and recent advances“, pg. 157-78. PDF here. First discussion of cryonics in a major medical journal: Whetstine L, Streat S, Darwin M, Crippen D, in: Critical Care, (2005, vol. 9), “Pro/con ethics debate: When is dead really dead?“, pg. 538-542. PDF here. Review of scientific justifications of cryonics: Best BP, in: Rejuvenation Research (2008, vol. 11), “Scientific justification of cryonics practice”, pg. 493-503. PDF here.